Full sun to part shade, avoid heavy frosts. They are almost impossible to kill. The only danger is of drowning when the plant is set in a plastic pot indoors. Dracaenas do not mind being potbound, but they can be repotted in spring. Does well with little light or artificial light. 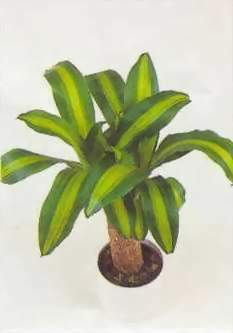 Indoor plant care: Prefers a warm atmosphere of between 16 - 20 degrees Celsius. Needs good drainage. Moderate humidity is adequate. Grow in a standard potting mix. Wash leaves monthly with soft room temperature water and remove withered leaves. Do not use leaf shiners.